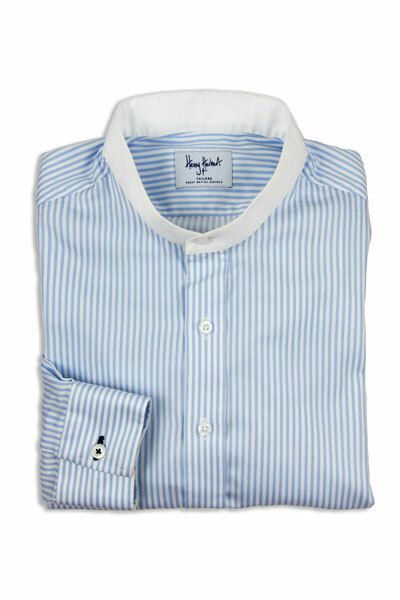 And so, Henry Herbert are now happy to make a small ready to wear collection of these two shirts colours. 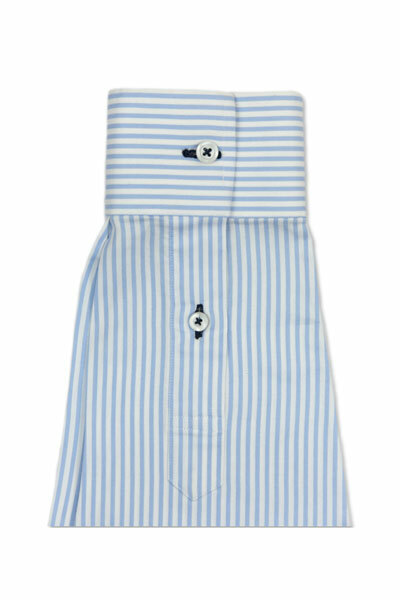 Available in either the white or blue stripe with this great looking Shanghai tab collar, with special colour stitching on both – as pictured. The following collar sizes are available: 15, 15.5, 16, 16.5, 17, 17.5, 18.75. All shirts are made from a soft Italian cotton, using Mother of Pearl buttons. 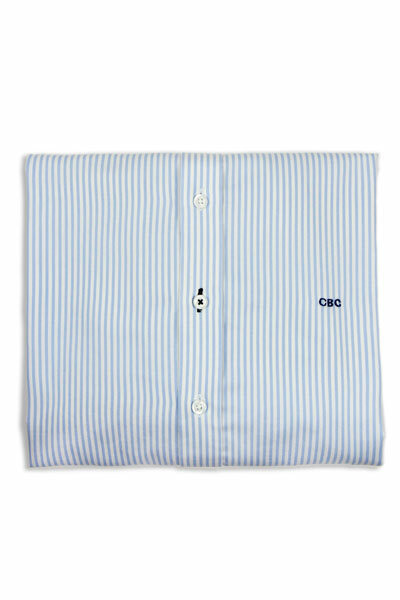 Shirts are slim-fit cut. Shirts take 14 days to be delivered. For an extra £10, three letters of Embroidery can be added, as seen in the photograph. Please select this option on checkout. Queries? Just email! 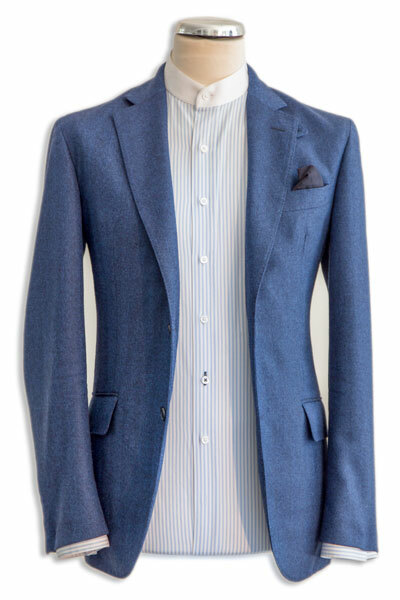 The Blue Shirt - Bespoke Suits By Savile Row Tailors.